Homeowners generating their own electricity from renewable or low carbon sources, such as solar PV panels, can receive regular payments from energy suppliers under the new Clean Energy Cash Back scheme, also known as the Feed-in Tariff (FiT). The scheme, announced back in February by former Energy and Climate Change Secretary, Ed Miliband, means any property owner with a renewable energy installation is entitled to claim payment for the electricity they produce, even if they use the energy themselves. The Feed-in Tariff is the main incentive scheme available to those looking to invest in solar technology after the closure of the Low Carbon Buildings Programme (LCBP) grants on 24 May. Existing applications for an LCBP grant before 24 May will be processed. The Renewable Heat Incentive (RHI), works in a similar way to the Fit, rewarding homeowners with fixed payments for the amount of heat they generate themselves using technology such as solar thermal water heating panels. What Incentives are on Offer for Solar Energy Generation? The latest scheme launched in April 2010 is the Clean Energy Cash Back scheme also known as the Feed-in Tariff (FIT). It’s an incentive for energy producers to move away from fossil fuels to renewable energy sources. It is a government legislation which guarantees a fixed, premium rate for renewable energy that is fed into the national grid. The power companies are obliged by the government legislation to pay for the renewable electricity, the additional costs of which are passed on to the customer. The benefits of the scheme are three fold. If you do qualify for the scheme you receive an initial payment for every kilowatt hour generated (Generation tariff) and an additional payment for every kWh you export to the grid (Export tariff). And there is also an additional Avoided cost benefit for usage of electricity onsite as it will reduce your bills. The tariffs will cover anaerobic digestion, hydro and wind power as well as solar PV and aims to provide a five to eight per cent return on initial investment in Microgeneration technology. The payment will span for 20 years. A number of micro-combined heat and power (microCHP) installations also qualify for the feed-in tariffs with payment for 10 years. The amount of money you can receive depends solely on the size of the system; the amount of electricity you generate, and how you generate it. 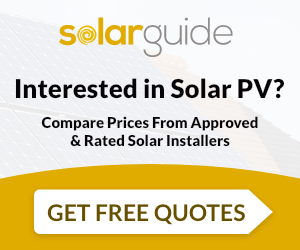 For example, if you fit an average-sized 2.5kW photovoltaic solar panel system you will be initially paid 13.39p per kWh generated; same if the system’s installed on a new-build home. The current tariff rates apply from 1 April 2014 for systems up to 4kW. In addition to that fee you will also receive an added 4.85p for every kWh exported back to the grid. And to make it even more appealing, the income you receive is completely tax-free. It’s worth noting that new domestic energy efficiency requirements were introduced in April 2012. If a domestic property does not meet these energy efficiency requirements, the Solar PV installation may receive just 6.16p/kWh. Once you’ve decided which technology is best suited to you and your home, you must have the installation undertaken by an MCS certified installer using MCS certified products. When installation is complete, your installer will register you on the central FIT database and you’ll receive a certificate confirming FIT compliance. The domestic Renewable Heat Incentive (RHI) is due to be introduced in Spring 2014. The incentive works in three steps. Firstly, you need to install a renewable heat system in your property, such as solar water heating panels, that are recommended under the scheme. Once installed you can get an estimate about how much heat your renewable system will produce and, based on that estimate, you get paid a fixed amount for generating your own heating. On 12 July 2013 the Government published the scheme’s tariffs, which revealed the level of support available to domestic householders to be a minimum 19.51p/kWh. The new coalition government has promised a new raft of green initiatives that will see big changes to the country’s housing stock to allow more households to invest in renewable energy installations like solar panels. David Cameron and the new government envisioned a green investment bank that would loan individual households the money to invest in carbon-reducing measures – a scheme called ‘pay-as-you-save’. The idea is that the household would pay the loan back using money saved through lower energy bills that would occur through having renewable technology installed. The vision has now become a reality with the launch of the Green Deal in January 2013. We’ll continue to keep you updated here at SolarGuide when news relating to solar panel grants breaks. FiT rates correct as of April 1st 2015.